Interceptor with unguided rockets, perhaps? So, the TIE Avenger is canon now? Cool. It may include some cross-over fix cards for the TIE/in, we can hope, like they added Integrated Astromech in with the T-70. If it added cross-over fix cards, they would be something like "TIE only". 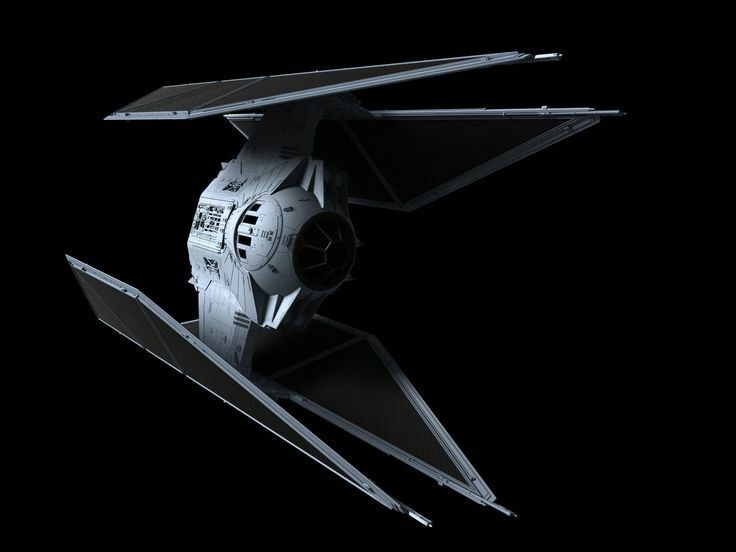 This is no TIE Interceptor, or TIE "Advanced" Interceptor: this is TIE Silencer, a complete "new" ship. TIE Silencer or TIE Interceptor only. Easy. Whoo! A canon TIE Avenger! Thank god. Half of those threads will go away now. Jumpmaster dial but all green. "Kylo Ren's Fake Bad Guy Temper"
At the start of combat if you are at range 1-3 of a Jumpmaster the opposing player must remove their Jumpmaster. The opposing player may perform a free purchase and select any other ship or ships from the shelf of their FLGS as a replacement. I wonder if this thing is going to be unique to Kylo Ren (in the movies) or if it will be the standard ship for the Knights of Ren. 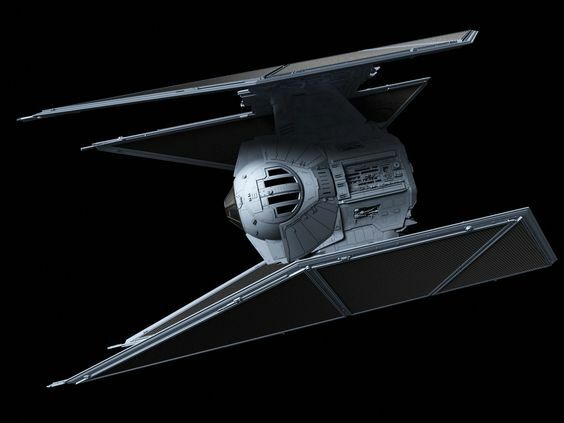 If the latter, we might get an Imperial ship with only unique pilots, like the ARC-170. It would be cool to field a squadron of 3-4 Knights of Ren. Maybe they'd get something akin to the IG-2000 title where they are stronger with each additional pilot. I wonder if 50% of the lists in the wave 12 meta will still have bombs in them. Yeah, I know ... Here's hoping for something to help with bombs. The Empire has a distinct lack of high upgrade count heavy assault fighters, which this guy would seem to be. Scum and Rebels can have bombers with full upgrade bars that moveone fighters if the First Order can have heavy fighters with full upgrade bars that punch like Scum heavies. With a dial similar to the TIE Advanced, but with 1 hards, better greens, and s-loops. The point cost for the base could be 25. It's just a slightly harder-hitting TIE Advanced with a better dial. It'd be really wild if they went as far as 4 attack. I can imagine a title that gives it access to cloaking, but if that's the case, the stats would be wildly different. It might end up being a less punchy, more durable TIE Phantom. It's weird how much the cockpit of this thing looks like the TIE Avenger's cockpit. Is that a mod? I don't remember Alliance looking that good. 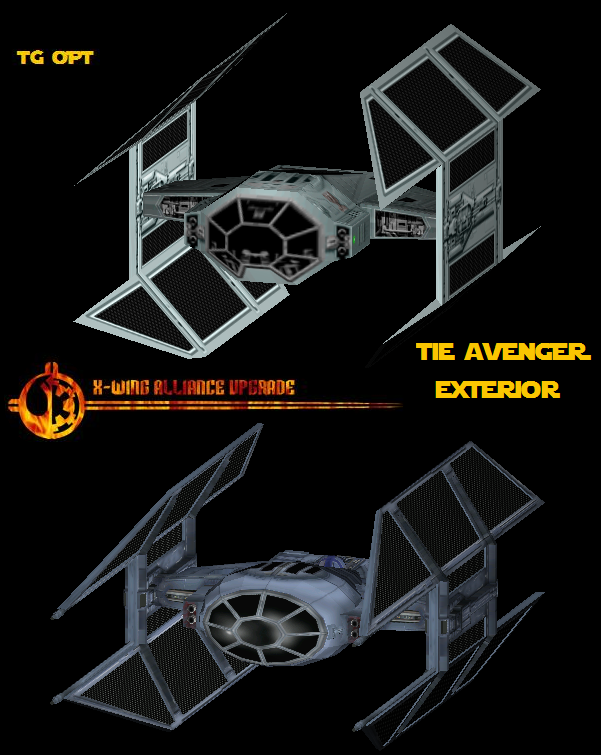 This is the TIE Avenger from the Star Wars: TIE Fighter game. The TIE Avenger and the Upsilon-class shuttle had a baby, it seems. This ship had: 4 laser cannons, 2 missile launchers, fast recharging shields, very weak hull, optional tractor beam. And it was the precursor of the TIE Defender. So perhaps a 3/3/3/2 with regenerating shields, missile icon, title to equip a tractor beam, and a dial between the TIE/v1 and the TIE/x7? Advanced dial with 3banks and 3turns and 4 straight green. 2 3-segnors. So statwise close to the defender, dialwise a mixture of the advanced, fo and the interceptor, but faster. An Interceptor at roughly 27 points for the ps3 generic. No evade, so intensity is an option. I look forward to seeing what they do with it. It's either going to be a "First Order Interceptor" or "First Order Defender" - probably more the latter, especially given that the TIE/sf is the first order's "Heavy Fighter/Bomber". The TIE/fo already essentially has a TIE interceptor's dial, so making it different will require a bit of thought. I'd agree with speed 3 greens for turns; that (as with the lancer) makes it feel 'faster'. Alternatively, something akin to Snap Wexley's ability or adaptive ailerons which gives it an extra move when already going fast? Unless you want to staple a copy of push the limit to the card, you have the same issue that all small ships have had for a while - unless you dedicate your action to boost, large based ships - especially those with boost or barrel roll - are faster than you because of the way manoeuvre templates work. Making it a "first order super-heavy TIE striker" might be an interesting idea; the whole "can't slow down evar!!!!" actually makes TIE strikers more of an interesting challenge to fly than Interceptors (to me, at least). 3/3/4/2 sounds about right. Much more than 6 hit points doesn't feel right on a small base unless we're talking unwieldy stuff like Y-wings. The number of missile slots depends; I can't see you wanting to fly this thing as a bomber, so a single missile slot is probably fine (it's not like unguided rockets are tempting because surely to god this thing has 3 attack). Proton Rockets are going to be tempting, though. Why does TIE Silencer shorten to TIE/vn? or the chassis is a TIE/Vengeance and Kylo's personal version is called the Silencer? I'd say TIE/Vanguard and Silencer is the title of Rens personal fighter. And of course it'a TIE Avanger expy. Which in no way says we'd never see the Avenger. It's likely it's the First Order Avenger (you can make some connections between the sound of Avenger and Vanguard) and we get a Canon imperial Avenger in some other media. Seither way my TIE/VN get modded and repainted into TIE/Avengers. Just ignore him; the poor guy doesn't even know how to use hashtags properly. The silenger has a similar central section, but with the "squashed" cockpit from the original Avenger model and slightly longer wings. It's a shame there's no split wings at the back as well, but close enough! I'm still thinking there is a chance that it has an imperial Astromech slot. Not a big one, but the Lego leak implies that possibility.